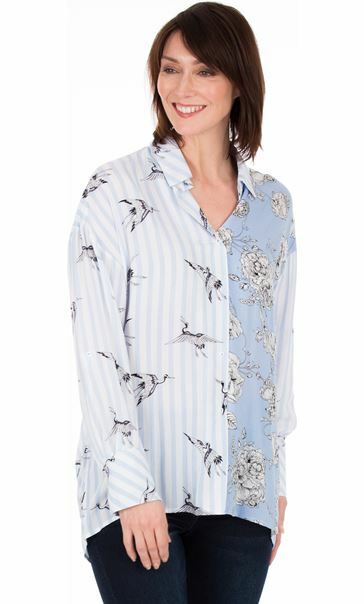 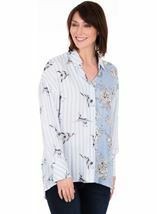 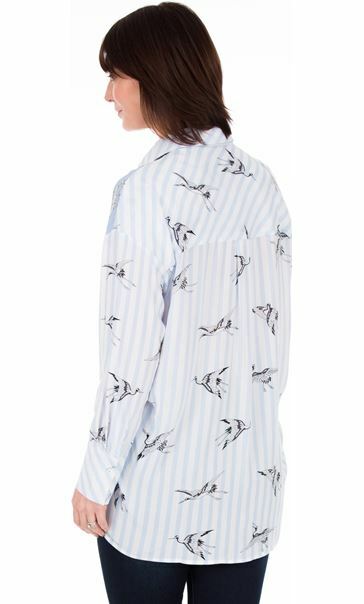 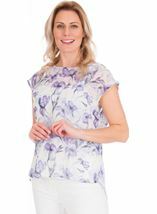 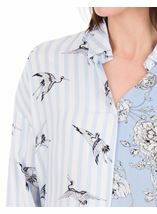 Eye catching panelled loose fitting shirt in contrasting prints with button back sleeves, button fastening throughout the front and finished with a dipped hemline. 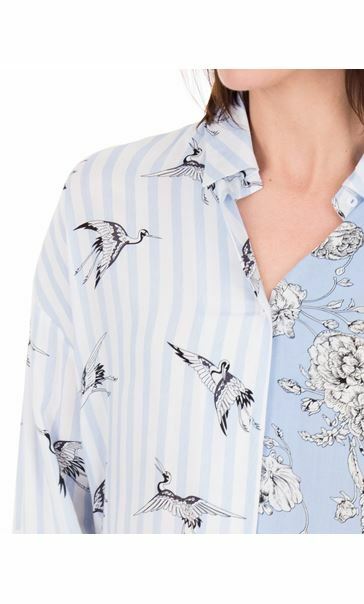 Perfect for casual chic. 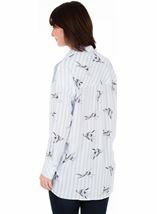 Back length 78cms.